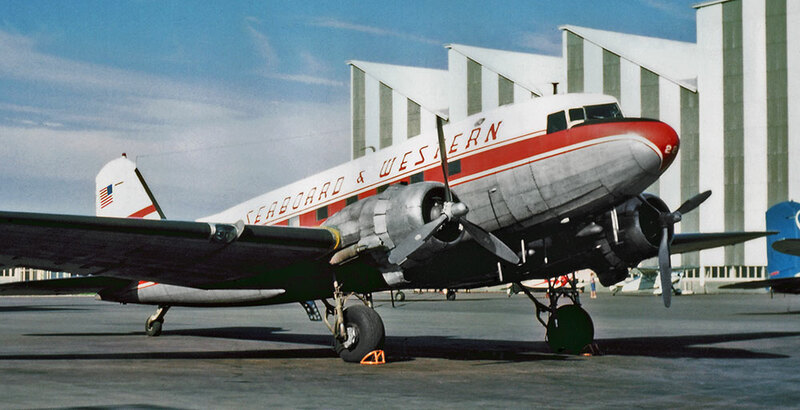 This airplane, Seaboard's only DC-3, is seen here in 1960 in Stuttgart. It was used for feeder service within Europe. Don flew trips that went Frankfurt - Nuremberg - Munich - Stuttgart, and then stopped for lunch. They then returned STR-MUN-NUE-FRA. Everyone got lots of landings.